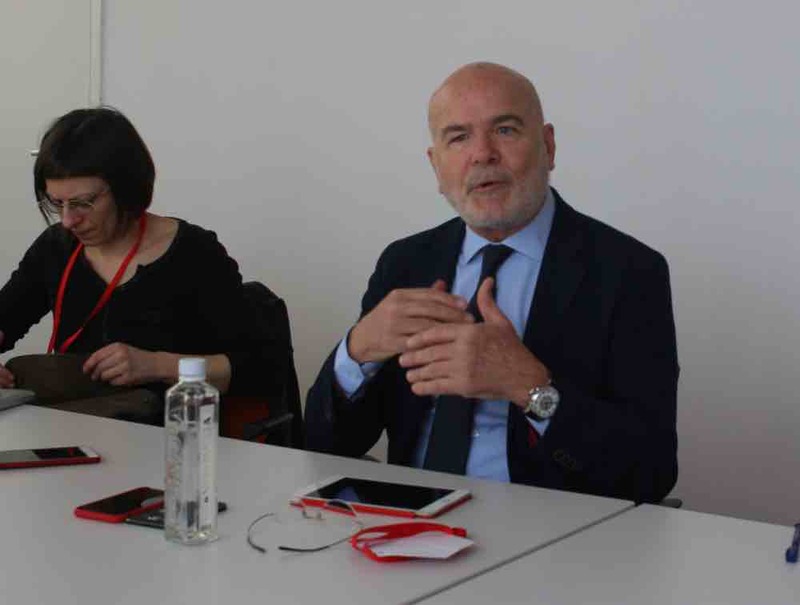 Belgrade, Serbia: Amid India’s ongoing elections and the recent controversial decision to partially ban civilian movement on the highway in Jammu and Kashmir, Michael Forst, UN Rapporteur for human rights has called the region an ‘information black hole’ for the global agency. Citing various examples, Forst said numerous communications conveyed to both India and Pakistan regarding human rights violations in Kashmir went unanswered. “We send communications to India and Pakistan and don’t receive replies. So, it’s complicated because it’s sort of a black hole in which there is no real possibility to operate as we do in other countries,” Forst told Free Press Kashmir on the sidelines of International Civil Society Week (ICSW) in Serbia. On being asked about erstwhile UN military observers office in Srinagar, in the summer capital of Jammu and Kashmir, Forst expressed a desire to engage with the government of India to resolve human rights abuses in the region. “I am trying for an academic visit to India but it is difficult as I have been prevented from traveling to the region,” Forst added. Forst also spoke about how Kashmiri groups, individuals who provide inputs on the ground situation and seeking protection feel abandoned by the international community at large owing to numerous restrictions from the Indian government. Indian-administered Kashmir is the ‘most heavily militarised zone in the world’ with the presence of one soldier for every ten native Kashmiris. With instances of enforced disappearances, pellet gun violence, and sexual abuse, the region is mired with reports of human rights abuses. On the arrest of Kashmiri activists, Forst condemned the government for harassing activists and confiscating their passports after they return from UN meetings. “Activists are now prevented to travel or have their passport confiscated or blocked from leaving the country. That’s a signal on what’s wrong in this part of the world,” Forst said. As India’s elections are underway in phases and the ruling right-wing Bharatiya Janata Party has used Kashmir as a flashpoint in the backdrop of the Pulwama attack to garner votes, Forst said the trend is similar globally. Forst also added that despite UN’s negligible presence in Kashmir owing to restrictions, its desk offices in Geneva follow the situation and try engaging with both the countries seeking for a solution. Highlighting attacks on journalists in the region including photojournalist Kamran Yousuf’s arrest, Forst said the Sustainable Development Goals cannot be achieved if the civil society in the region is repressed. “Solidarity is the best protection for human rights defenders” he concludes.